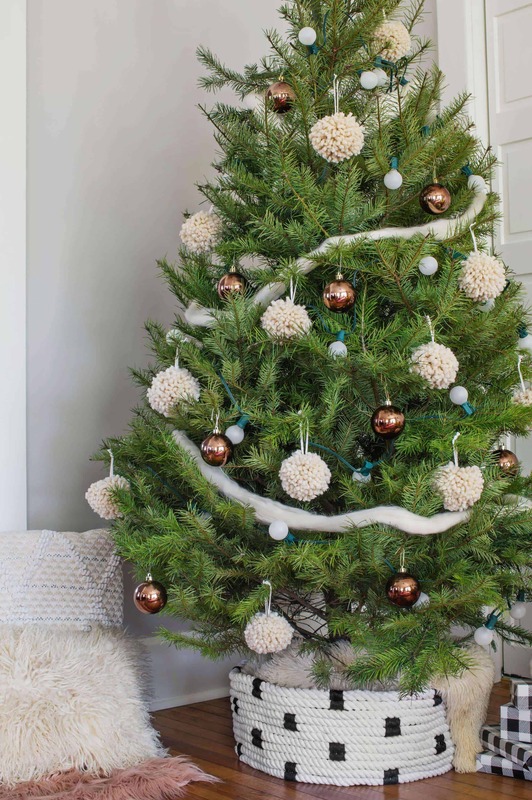 I’m not sure if the Christmas tree collar is the new tree skirt, but it sure is fun finding a new way to style an evergreen! Trees in baskets are nothing new, but this take on a tidy, trunk cover up allows for a little more experimentation and might be a bit easier to custom fit to your own tree stand. 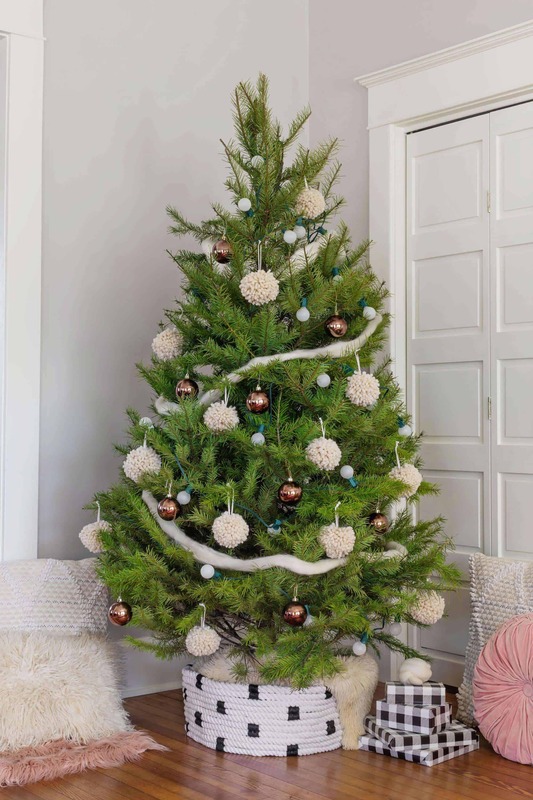 It leaves plenty of room under the tree for presents, hides the scraggly bottom branches, and still allows easy access for watering your live tree. I used a few cotton lunge lines (horse lover over here) because I wanted a really thick rope and then secured things together using hot glue and black jute. 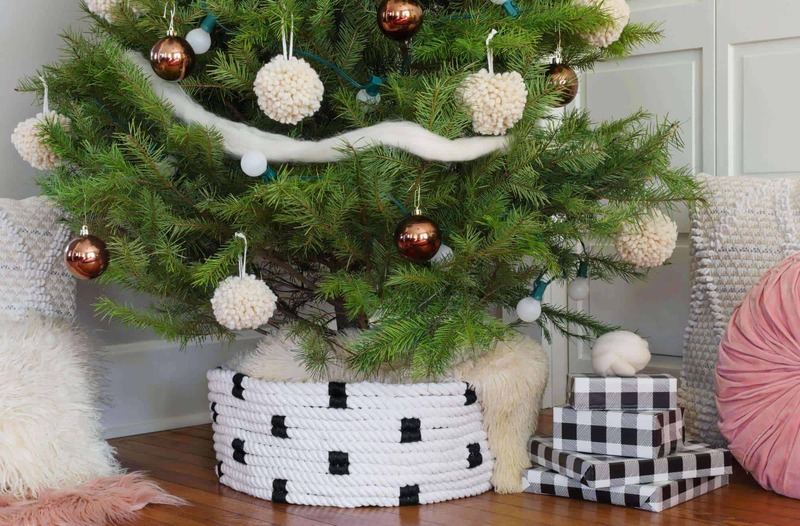 I love how the wrapped jute is both practical and adds a bit of a fun pattern that is neutral enough to be used year after year. 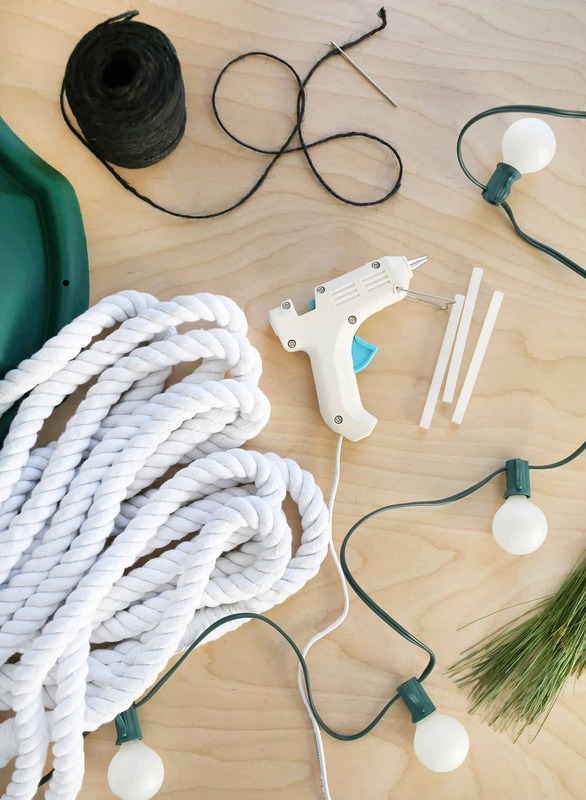 You could just as easily dye your cotton rope with natural or synthetic dyes if you wanted something that ties in your boldest holiday colors. This would look beautiful dyed using avocado pits or dipped in indigo! 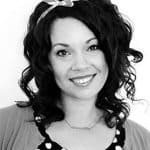 You’ll need to cut off the cotton wrap that makes the loop on each end of your cotton lunge lines and carefully wrap the strands where they naturally want to wrap together. This will lengthen them by about 18″ each. 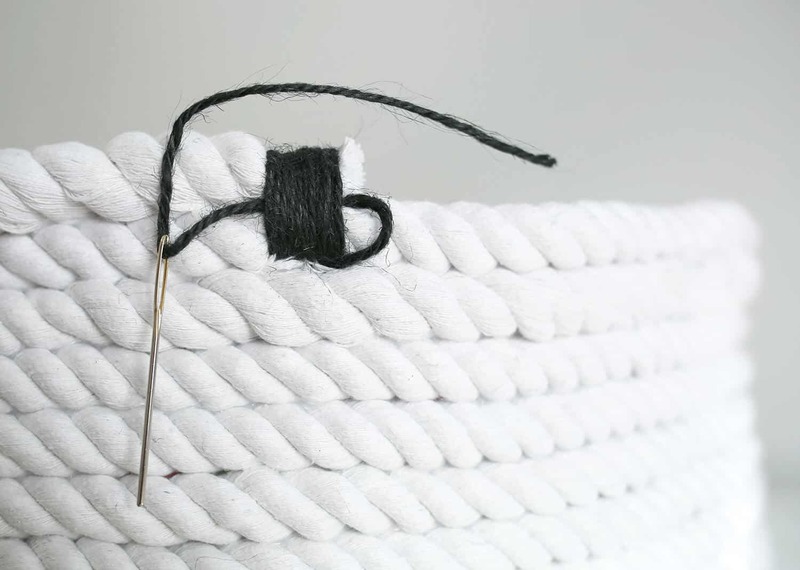 Tie the ends with a scrap of that same cotton you just cut off and tie a knot around the new end. This is just a placeholder. Cut a cardboard box so that you get a long rectangle shape that will be about 3″ higher than your tree stand is tall and fits all the way around the perimeter of the tree stand. If you have to tape two pieces together, no worries. This will help guide your collar shape without it slowly getting narrower or wider the higher it gets. 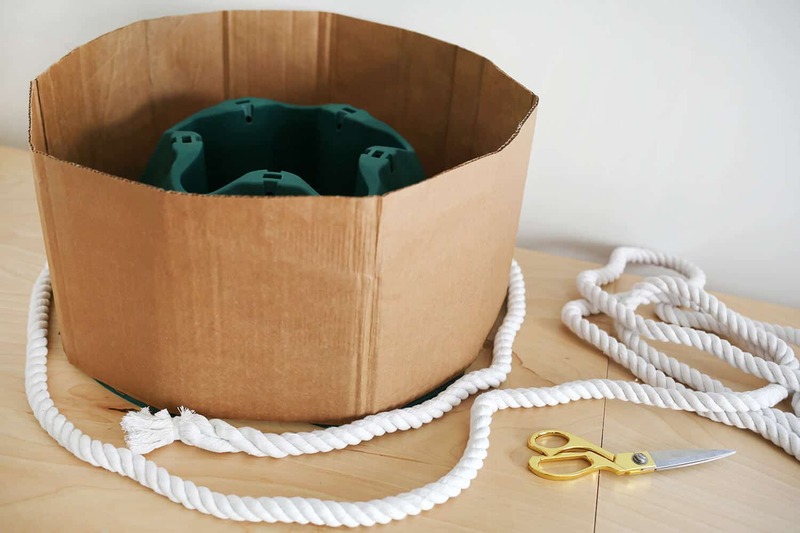 Lay your rope around your cardboard guide and start hot gluing where the second rope layer rests on top of the first rope layer. Make sure you add a clean layer of glue so that you don’t have big globs showing in between rows. 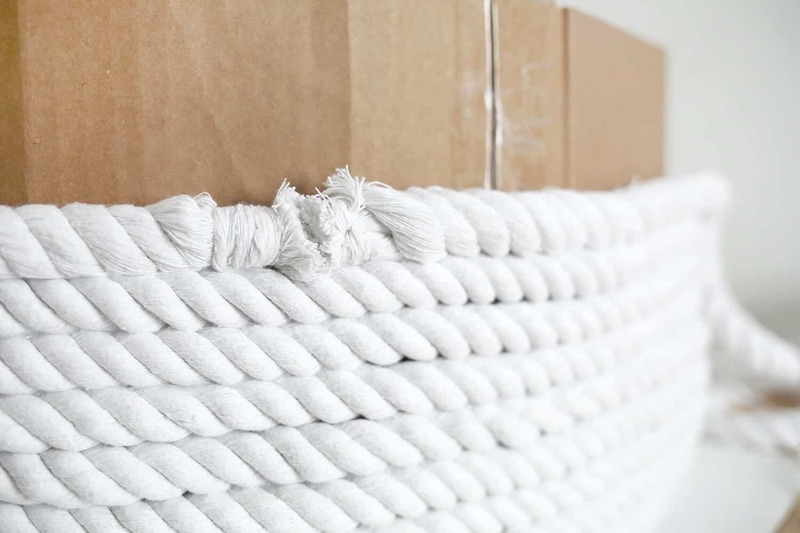 Once you get to the end of your rope, literally, trim up the loose ends closely to the tied cotton knot. 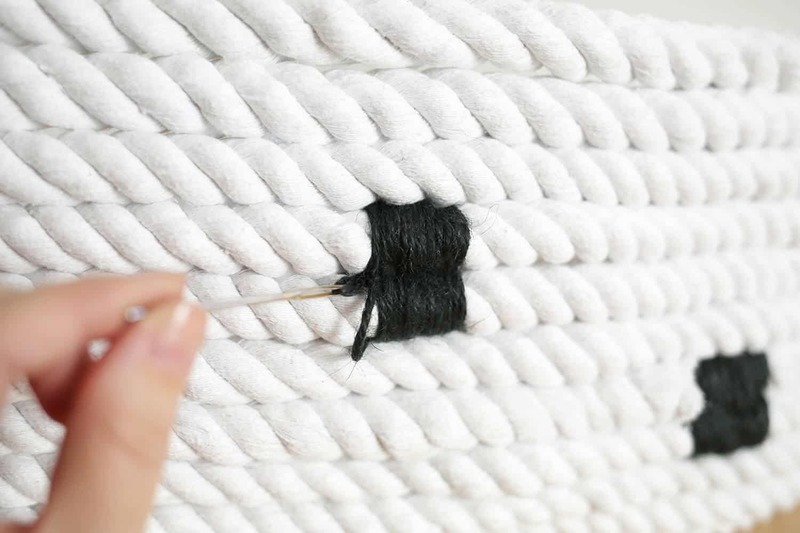 Then do the same for the next rope (trim it), and place it as close to the last rope end as possible. Continue gluing until you get at least 2″ above the top of your tree stand. You’ll end with a rope end that is obviously higher. If you get to a place where this part can be near the start of your rope beginning on the bottom, they’ll both be hidden on the back side of the tree. Remove your cardboard guide for the next step. Once it’s all glued together, cut about 2′ of jute and thread your needle. 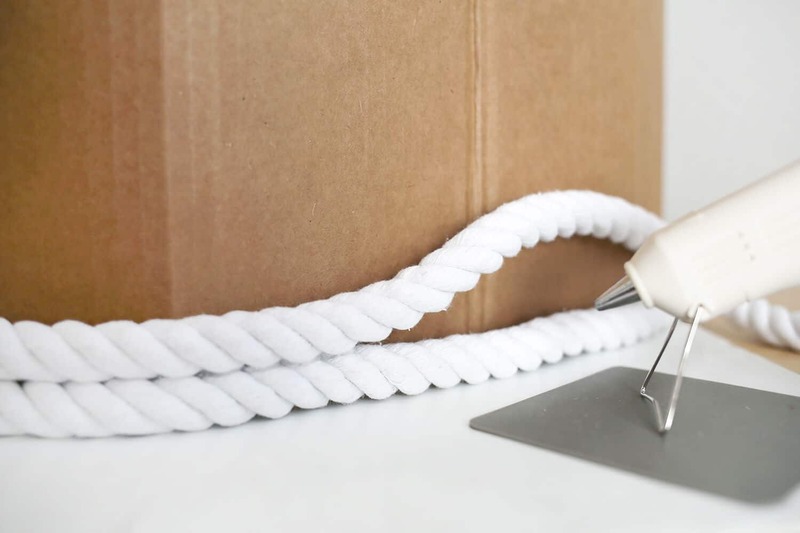 With the other end, tie a double knot around the very end of your rope at the top of your basket so that it’s on the inside. Then stitch around the rope row just underneath. Then stitch around the top row again. You can do this in a figure eight pattern or you can just wrap a loop around both rows. 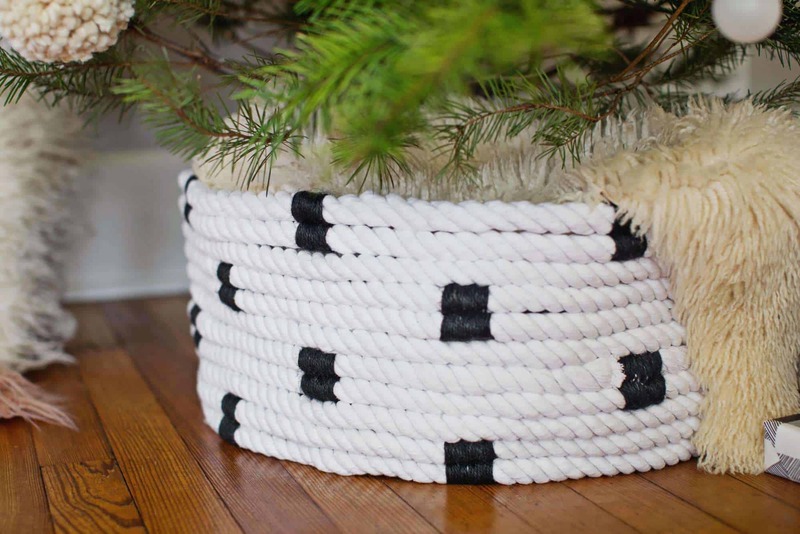 Do this until it’s about 1″ wide and then stitch between the two rows of rope and pull all the way through. 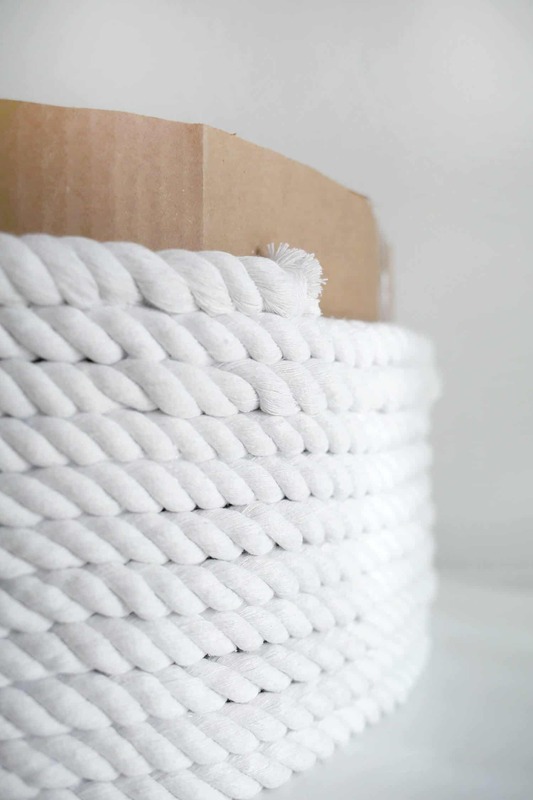 If you leave a tail from the beginning, you can end on the inside of the basket and tie them together in another double knot and trim the ends. From this point, you can measure out the space between rows and add your jute stitches closer together or further apart than mine. I chose to do a diamond grid pattern. I started out by measuring out the perimeter of the basket and dividing by 9. This showed me how many places I needed to add my stitches on the top rope (and second rope). Then I skipped the third rope and added my jute stitches on the fourth and fifth, but centered them between the top round of stitches. Then I skipped the sixth rope and centered my next round on the seventh and eighth ropes, etc. 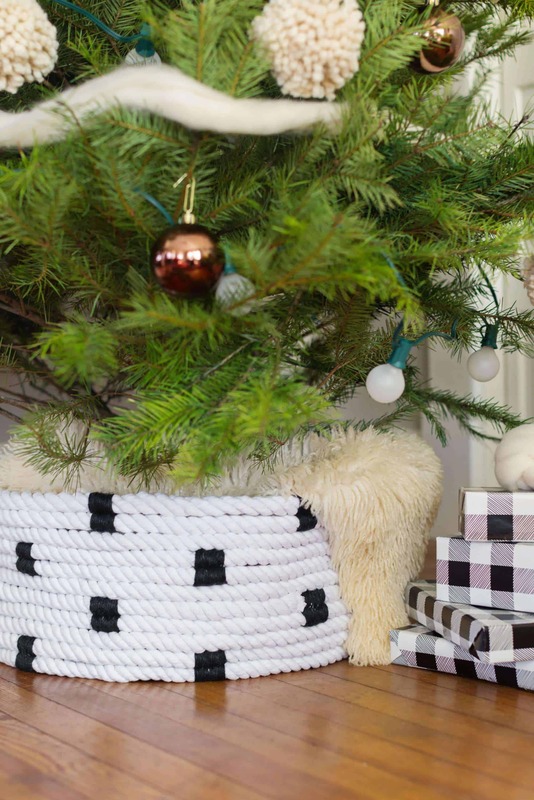 Consistency in your spacing and the width of your stitches will really make your tree collar feel special! This collar is beautiful! I’m obsessed with how it turned out! That’s exactly how I felt. I liked the look but it wasn’t that practical to find a basket in the size I needed. I’m so happy this one turned out! 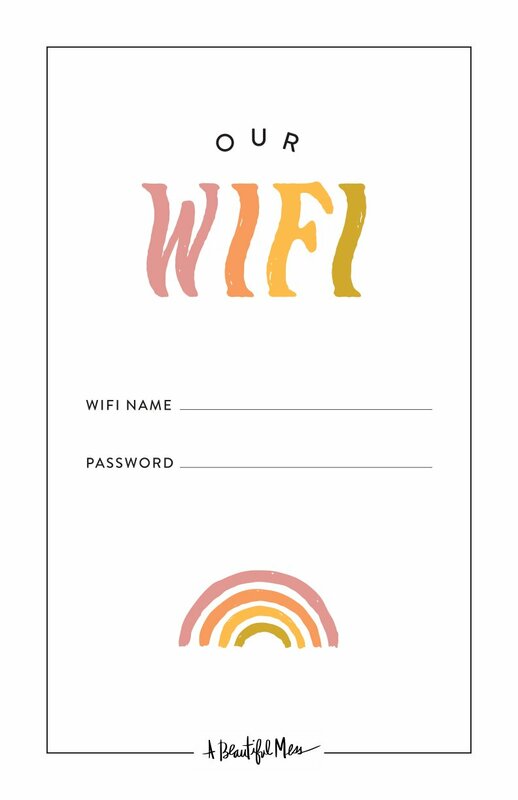 What a super cool idea, and so stylish! Amazing idea to create the decorations like that! It looks absolutely gorgeous! Good job! LOVE THIS!! 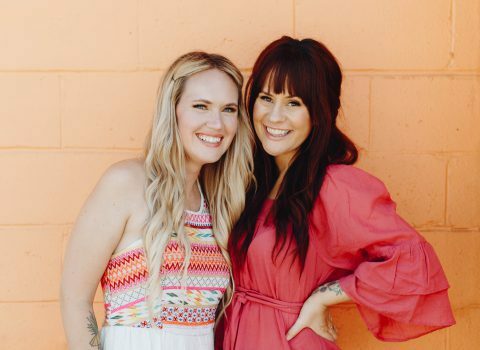 you ladies are killin’ it with the christmas decor!